Surround yourself with the conveniences of the office and comforts of home at the La Quinta Inn Olympia-Lacey. 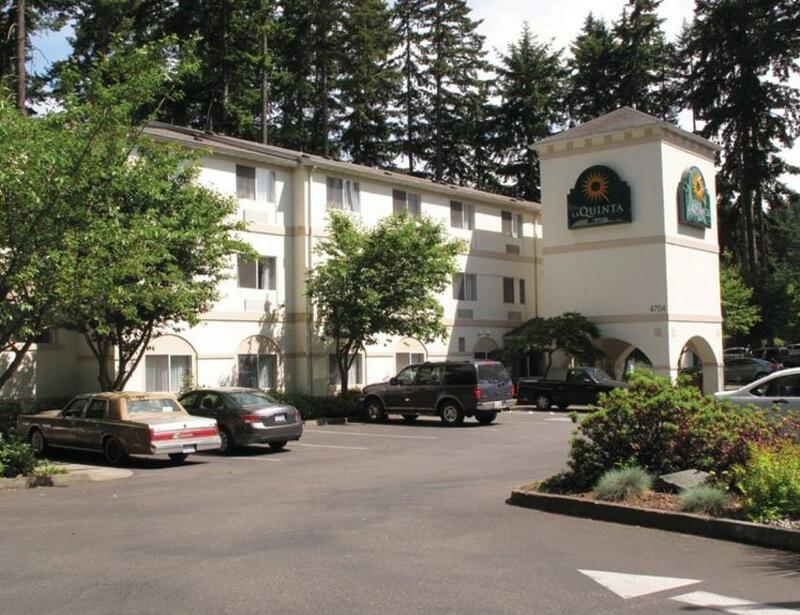 Standard amenities such as free high-speed Internet access, guest laundry facility, a microwave and refrigerator in every room, and relaxing indoor pool and spa make this hotel a relaxing and affordable alternative to others in Lacey. Stay fit in the convenient onsite fitness center and breathe easy at this 100% non-smoking hotel. The La Quinta Inn Olympia-Lacey is located less than 5 miles from the Washington State Capitol, Hands-On Children's Museum, Cabela's and Hawks Prairie Casino. Enjoy shopping at nearby South Sound Center and Market Square Center or make the short drive to Westfield Shopping Town for the best bargains. Choose the La Quinta Inn Lacey when planning your next stay!